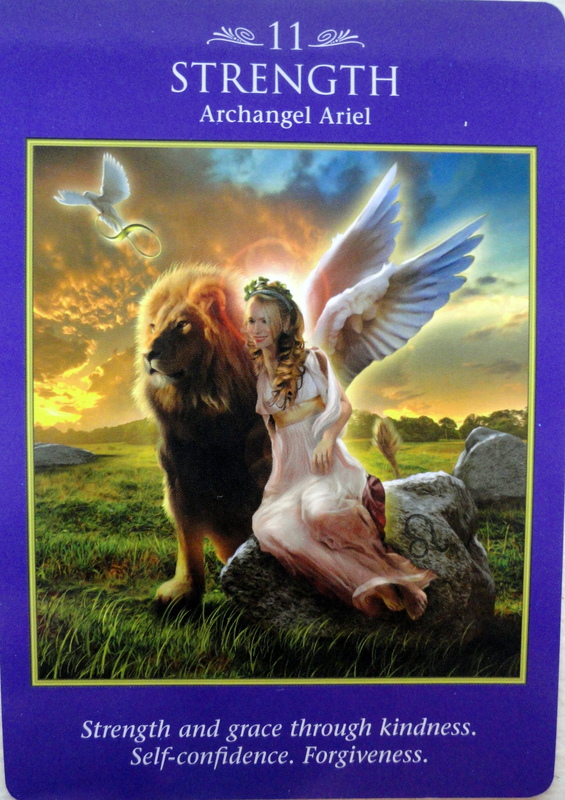 January 15, 2014 bcalvanocoachingLeave a Comment on Weekly Angel Oracle Card Reading for January 13 through 19. Weekly Angel Oracle Card Reading for January 13 through 19. 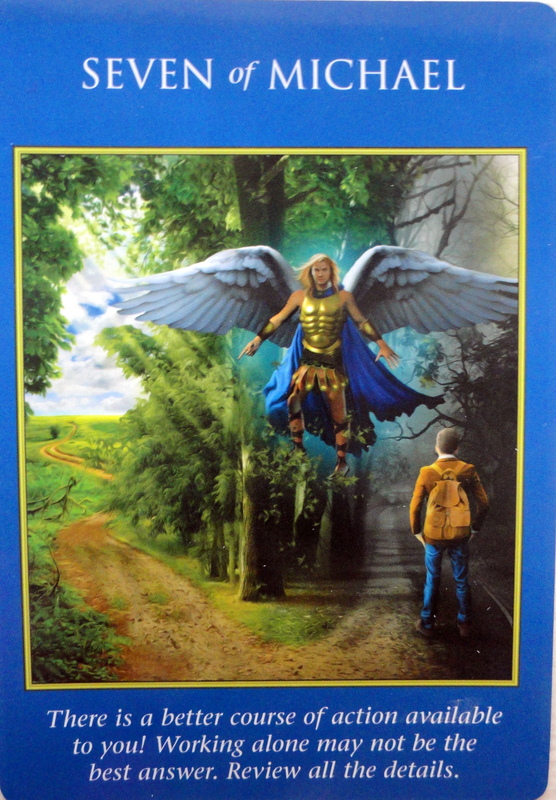 This week I am using the Archangel Power Tarot Cards Deck by Doreen Virtue and Radleigh Valentine. Here the message is to stop and examine your choices. There’s a fork in the road depicted on the card and a young boy with a back pack going it alone on a dimly lit path. An angel hovers above giving a loving nudge to take a moment to pause and examine the course of actions you are taking. Might you be missing some important details being too focused on your choices? Could you possibly achieve these goals better working with others instead of alone? The message is that there are better options available if you take a moment, breathe and look at the big picture of what you are actually trying to accomplish for this year. Here we have the Queen sitting in her royal throne relaxed, content and clear. From the previous card we see if we actually pause we can see that we have all that we need to accomplish and attract what we want. We are able to attract the right people to assist and support us. And – we actually can do anything right now. So all the ideas you have, choose one and go for it! You actually are more ready than you realize, and your kindheartedness is being noticed by others who want to work with you. This message brings some ease to anything you may have been worrying about especially in manifesting a project. Then for Friday, Saturday and Sunday we have the card, ‘Strength: Archangel Ariel: Strength and grace through kindness. Self confidence. Forgiveness. Here the card speaks about strength but it is the gentler kind, one of compassion. It speaks about balancing, giving kindness to yourself and also to others. Ariel can help us to get on touch with our inner strength and confidence if we have been feeling uncertain. Call upon Ariel for that courage and know that you can proceed with gentleness and kindness to manifest your life. You are far stronger than you believe yourself to be. Ariel can help you feel stay strong in the face of any challenge. 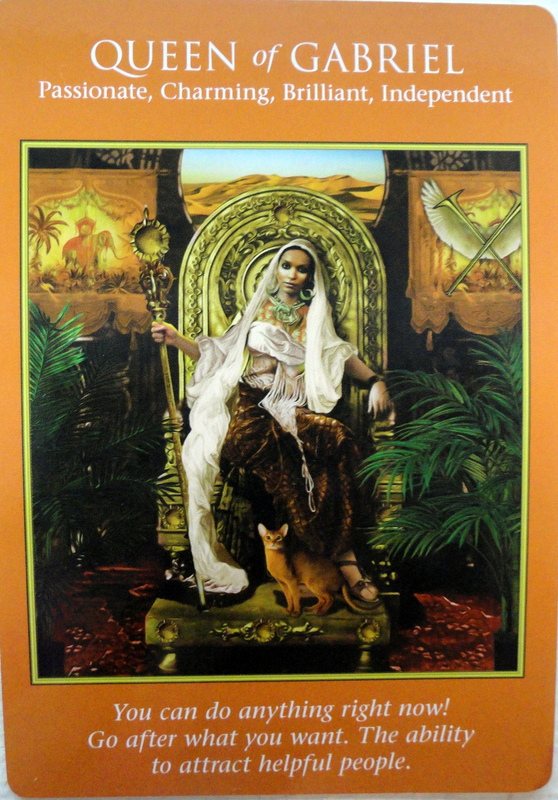 Her name means, “Lioness of God” and she can inspire great courage in the hearts of those who call upon her. So this week we are asked to take a moment and examine the larger picture of what we are creating so as not to miss important details and know that we are capable of accomplishing anything in our lives right now including attracting kind and loving people to our lives to assist us. Also, by allowing Archangel Ariel to support us with our courage and confidence we can be in touch with our inner strength and compassion and come from true inner power and not force. For more information about my angel card reading services and to book an indepth reading for your self email me bcalvano-coaching@usa.net http://www.bcalvanocoaching.com See my website for details. I will be in person at the Awaken Fair in New York City at the Hotel Pennsylvania, Sunday January 19th giving angel card readings from 10am to 5pm. Pre- register for your 15 or 30 minute session at http://www.awakenfair.com.